This weekend it was my turn to take part in 52 Stories which is a fantastic project thought up by Cherry Hinton’s Spinney Primary School together with the surrounding libraries. 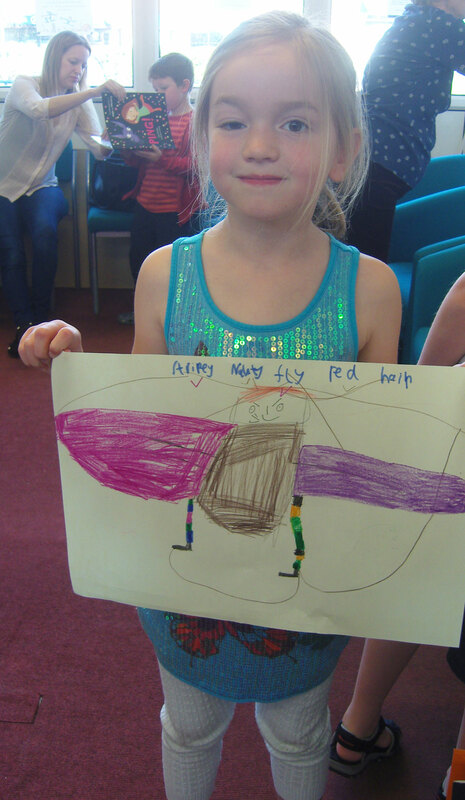 The idea is that each and every Saturday for a whole year a different reader comes into libraries and reads stories to children. The readers can be anyone with a love of books and this Saturday it was my turn. I had great fun reading Ready, Steady, Ghost! by Elizabeth Baguley and Ping! 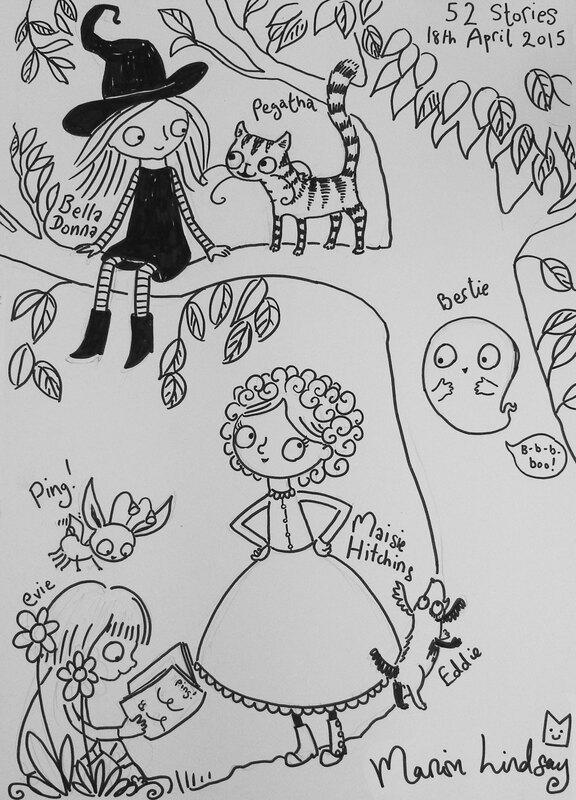 by Chae Strathie and showing the children my original illustrations for the books. 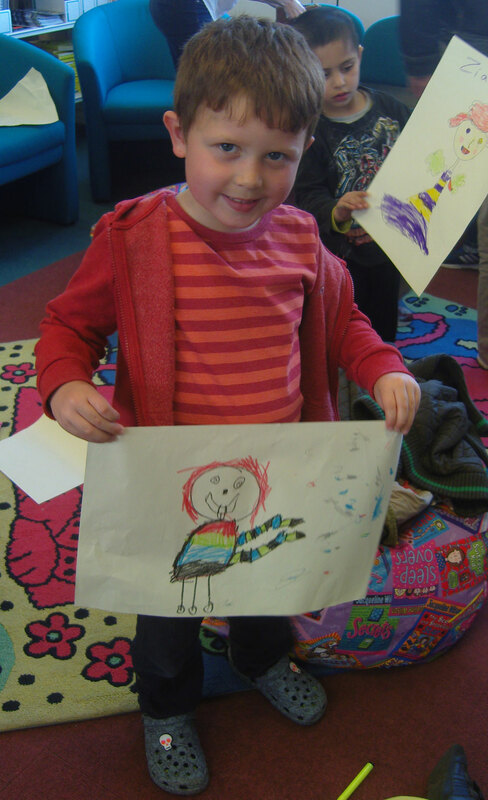 Afterwards the children did some drawing and created a character who was naughty, stripy and had red hair and wings – you can see a few of their brilliant drawings below. 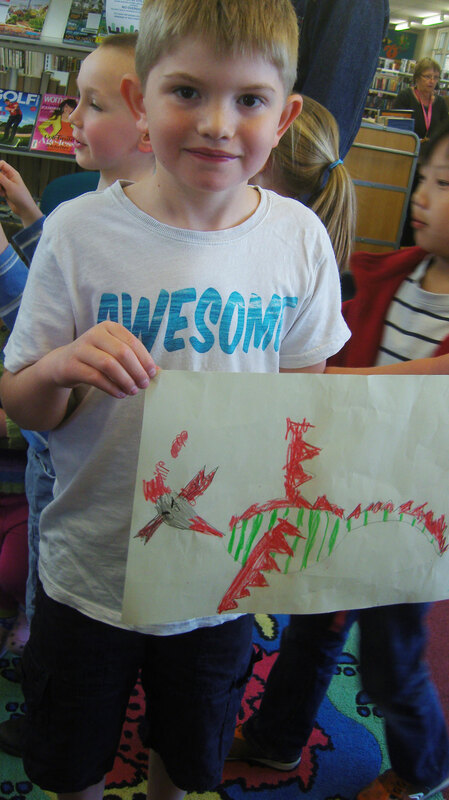 It was a lovely morning and I’d like to thank all those from Cherry Hinton Library and Spinney Primary who organised everything and made me feel so welcome!